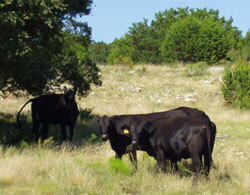 In 1972, Pat and Carolyn formed Gully Cattle Company. The Gullys had three children: Coleta, Ginger, and Matt. Pat, a cattle buyer from Rowena, TX brought the knowledge to the ranch of buying and selling cattle. This side of the ranch business is still conducted today. Pat attends local sales weekly buying for the ranch and for others. Gully Ranch formed another side of the business when their son, Matt became interested in roping events. Matt was a pro team roper and helped conduct ropings around the country until an accident took his life in April 2003. Furnishing stock for the roping events and leasing steers to individuals had become a big part of the Gully Ranch and operates under the name of Gully Productions. The family now only ropes as a hobby and sells a few roping horses. 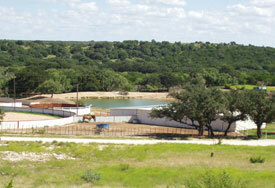 Gully Ranch not only participates in the cattle business, but raises cutting bred horses. An own son of Little Peppy and a Doc Bar mare, Bertie De Badger stands at the Gully Ranch. The Gully family has been raising, showing, and promoting Cutting Horses since 1983. The Ranch offers about 50 head of top bred cutting horses for sale year around. With the availability of cattle, Gully Ranch supplies over 30,000 head of cattle to cutting horse events during the year, the largest being a corporation called The Abilene Spectacular Cutting Event. This event began in 1993 when Carolyn saw a need to bring an event of this type to the city of Abilene. It has grown to be one of the largest in the Cutting Industry today. This event is always held the first two weeks of the year, beginning on January 1st. This cutting event is totally run by the family members of the Gully Ranch. Carolyn, Coleta, and Ginger run the promotion and operation of the event, while Pat keeps the activities with the cattle under control. This event along with a 5 day circuit started by the Gully's in 1983 lasts 17 days and brings millions of dollars to the West Texas town of Abilene. 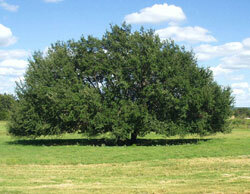 Gully Ranch is located in a mountain area, covered with live oaks and cedar trees. Wildlife is seen every day. Deer, turkey, porcupines, birds and snakes are very common. The ranch is located 38 miles south of Abilene, TX off of Hwy. 84 S to 604 W to 382 S to CR 181. Drop by to pay us a visit if you are in our area. Please let us know how we can be of service to you. Along with cattle sales, leasing, and stud services, we also offer quality cutting and roping horses for sale at all times.